In Chapter 2 of Genesis, we see God sanctify the Sabbath, i.e. set it apart. Why was God so insistent on Israel keeping the Sabbath? In Numbers 15:32-36 we have the account of an individual who was put to death for simply gathering sticks on the Sabbath! Now, there is not a person on this planet who would say they think that is a reasonable response, yet we know that God is good and does good (Psalm 119:68). In other words, God cannot do anything that is not good. So how do we make sense of this? There is far more to the Sabbath than most are aware! As we study scripture we find there is a principle laid down here that has enormous implications. The Sabbath is about rest as opposed to work, and herein is the whole Gospel message! Finished, complete, nothing new needed to be added. This means there will be no new information. That which has been designed to reproduce will do so, but no more matter or energy will created. “Let [those who are Christ’s] therefore fear, lest, a promise being left us of entering into his rest, any of you should seem to come short of it. For unto us was the gospel preached, as well as unto [Israel]: but the word preached did not profit [Israel], not being mixed with faith in them that heard it. For we which have believed do enter into rest, [i.e. we have ceased from the days of toil] as he said, As I have sworn in my wrath, if they shall [not] enter into my rest: although the works were finished from the foundation of the world [i.e. God’s plan and the opportunity to enter rest existed from the foundation of the World]. For he spake in a certain place of the seventh day on this wise, And God did rest the seventh day from all his works. [Even from the beginning of the World, before sin had entered, God’s plan of redemption was established and God had foreordained a place of rest (in Christ) and a time of rest (Christ’s everlasting kingdom)]. And in this place again, If they shall enter into my rest. [The key is ‘if’ – the gospel is for the ‘whosever will’]. Seeing therefore it remaineth that some must enter therein, and they to whom it was first preached entered not in because of unbelief: Again, he limiteth a certain day, saying in David, To day, after so long a time; as it is said, To day if ye will hear his voice, harden not your hearts. [Let me paraphrase this: God foreordained that some would enter into the Sabbath rest through Christ, the offer went first of all to Israel, but they would not believe by faith. God therefore chose a time, for this offer of Salvation and rest for our souls, to go out to the world through the Seed of David]. For if [Joshua – who had led them into Canaan] had given [Israel] rest, then would he not afterward have spoken of another day. [If God’s plan had been fulfilled through Israel’s obedience to the Law of Moses, there would be no need for the cross]. Thinking again of the man caught gathering sticks (as mentioned in the intro to this post), it speaks of religion – man’s attempt to get right with God by his own efforts. God had said ‘rest’! He would provide. This man was all about ‘works’, ‘doing things’. In esence, it is either your own works, your own efforts, or it is the completed work of Christ on the cross. This is not an issue about sticks, it is about salvation! Are you going to trust in what you can do (which will only lead to death)? Or trust in Christ’s payment in full (which will lead to life!)? God was not harsh in the judgment meted out to this man, nor in regard to the 70 years captivity for Israel. Both of these examples draw our focus to the most important decision anyone can make. Are you going to go your own way and gather sticks – your labour, your efforts to provide for your needs? Or are you resting in the Lord knowing He has done it all?! Now that we have seen in type what the Sabbath is really all about, we start to understand why God was so protective of the model. The Sabbath is set apart because it represents the hope of mankind and the restoration of God’s walk with man. The phrase ‘These are the generations’ we find nine times in Genesis: 5:1; 6:9; 10:1; 11:10,27; 25:12,19; 36:1; 37:2. Each time it marks a division of the book and the commencement of a new section. Some scholars think that, whilst Moses was the compiler of this book, each of these sections were originally recorded by different individuals starting with God Himself recoding 1:1 to 2:3, then Adam, Noah, Abraham, Isaac, Jacob, Joseph and finally Moses himself. Here we are told that originally there was no rain. This, coupled with the statement in Hebrews 11:7 and with what seems to be implied in chapter 1 verse 7 leads to the conclusion that the earth had a very different hydo-system before the flood. The statement that ‘there was not a man’ indicated that this, along with the next verse, is a recap of what we have seen in chapter 1. This verse is very instructive! Firstly we are told that man was formed from the dust of the ground. It is very unlikely that Adam/Moses knew when they were recording this that the human body is made up almost entirely of 13 elements, all of which are found in the ground! The next insight we glean here is that we are made up of three component parts; body, soul and spirit. Our physical body is the container in which we reside, but it is not who we are. God here forms man out of the dust, but man is not alive until God breathes life into him. We (the real ‘us’) reside in our body (the Bible likens it to a ‘tabernacle’ or tent, implying a temporary residence (see 2 Cor 5:1,4 / 2 Peter 1:3). When we die the body goes back to dust (Gen 3:19). Then there is the spirit, given to us by God, and which will return to God when we die (see Ecclesiastes 12:7). The spirit is in effect our conscience; it is the part of us that is conscious of God. At the time of the fall man died spiritually, hence now we find that ‘the natural man does not receive the things of the Spirit of God, nor can his know them, because they are spiritually discerned’ (see 1 Cor 2:14). However, when we are born again we are not merely given a new spirit, we are given God’s Holy Spirit! Finally, we have the real ‘you’ – the soul. This is who we are, and as we noted previously, the soul comprises the heart and mind. The soul is not alive until the breath of life comes. The Bible makes it clear, life is not physical but spiritual. Those who live to satisfy the body exist, but are not truly alive. It may seem like stating the obvious, but Adam is created on day 6, and then God places him in this wonderful garden sometime after day 7; but notice this is before Eve is taken out of Adam. Now, it is surprising how many people seem to struggle with the following verses. 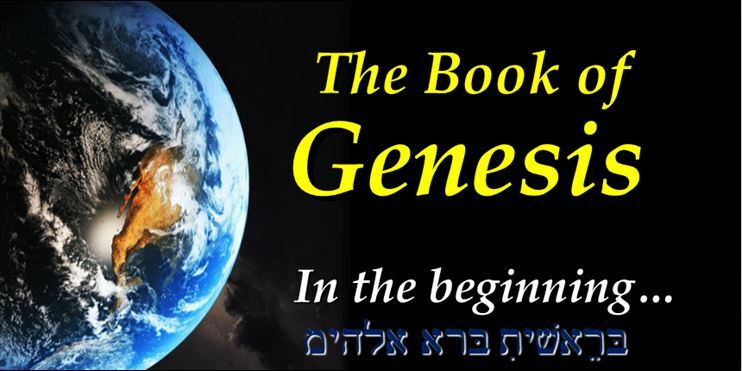 Often we here allegations of contradictions between Genesis 1 and Geneses 2. Even well-meaning Christians attempt to point out two different creation accounts, and then deliberate as to which is the correct or best one? However, as so frequently is the case, if we simply read the verses in context there is no confusion and we see a coherent single account. What we need to note is the fact that God creates a garden and then puts man in the garden. God has already created all plant life, all marine life, all land animals etc, on day 5 & 6. Now we are told that he causes to grow, out of the ground, another of every plant and tree etc. Why does God do this? To show Adam that He alone is the Creator! Adam did not see days 1 – 5 as God was creating. History has shown how easily man is led away from trusting in our Creator; very soon the great Tempter would come onto the scene, and how easy it would have been for Satan to convince man that he was the one who had created everything! But now, Adam is an eyewitness of Creation and sees, first-hand, God at work. All of Earth’s geography was rearranged at the time of the Flood. Clearly, some of these place names were re-used and given to other places / rivers after the Flood. But why do we have this record in scripture? Why did God choose to give us this information? The honest answer is ‘I don’t know!’ – but that doesn’t trouble me. When you come to appreciate what the Bible is, when you realise that every name, every number, every letter and every place name are in the Bible by deliberate supernatural design, you begin to recognise what the Rabbi’s called a ‘Remez’ – a hint of something deeper. Just because we have not discovered it yet simply means we carry on looking. We might make and amazing discover that becomes a blessing and encouragment to the body of Christ, or we may not know this side of eternity. So Adam has the opportunity to eat from the tree of life, but for some inexplicable reason, he doesn’t take it! Instead, he ends up eating from the only tree that is forbidden! Notice too that this instruction is given to him before Eve is created. It was Adam’s responsibility to instruct his wife. Notice that God holds Adam responsible, yet at the same time Eve is held accountable for her own actions. Man was created for fellowship – ultimately with God, but we are not supposed to be on our own. Is there one woman for every man? 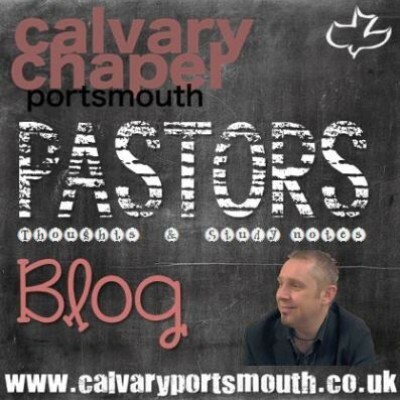 Does God intend for some people to remain single? Can more be accomplished as a couple? What is certain is that we must maintain fellowship with other believers! Fellowship and friendship costs. It cost Adam a rib! David would not offer to God that which cost him nothing (2 Sam 24:24). Don’t expect a free ride! Adam will appreciate Eve for more after this object lesson that God is about to teach him. As already noted, God forms another of each creature out of the ground in the Garden of Eden in front of Adam to show again that He is the Creator. The other purpose of this is to bring Adam to the place of realising his need! God does this with us today. He allows circumstances and even disappointment into our lives to help us to understand. Experience is still one of the best teachers. Some things we need to learn the hard way. Adam must have had an incredible intellect, but remember, he was created perfect! Had God not have exposed Adam’s need for companionship, his attitude toward might have been different. What seems clear is that by the time God creates Eve, Adam is overjoyed! If more proof were needed, there is a chasm of difference between man and animals. We are created eternal – they are not. God’s intention in making woman was not to give man a helper, nor a servant, but an ‘opposite’, the other part of the equation. Man was asleep when Eve was created! Here God literally takes the woman part out of Adam! Man does not have one less rib!! Note that woman was taken out of Adam’s side; this is a picture in type of the Church being taken from Christ’s side. The ‘woman’ part is taken out of man, but through marriage (which by the way, God invented so only He can define it – and He does, as the union between one man and one woman!!) man and woman are joined togehter and become one again – do you see from this why God hates divorce so much? It is like ripping part of your own self away, and you can never be the same after that. That doesn’t mean God won’t forgive and bring a degree of healing, but God’s standard is clearly given – and for our benefit too! Although they were naked they had a spiritual covering. They lose this at the time of the Fall (we will look at this in more details next week).